“appropriation of tradition tends to be eclectic and consequently their worship is reinvented with bits and pieces pillaged from the Christian tradition.” xxxvi The disconnect from Church history and tradition is not limited to new church movements. To the extent that American Christianity now reflects American culture, as opposed to embodying historically-based differences, it reflects communicative memory. It should therefore be expected that the evangelical practice of the Seder is part of today’s fashionable, popular culture. 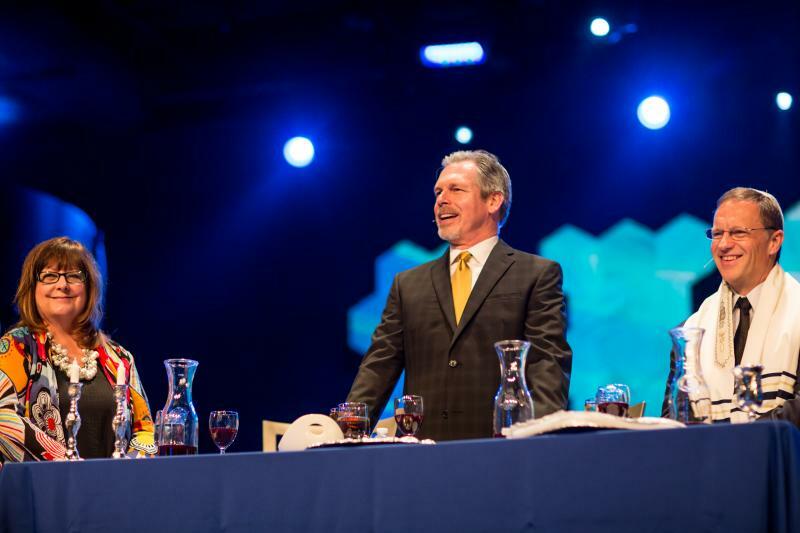 In contrast, the fact that the contemporary Seder is perceived to be based on ancient Jewish and Christian practices indicates that evangelicals involved in the Seder desire to connect with their Jewish and Christian roots. 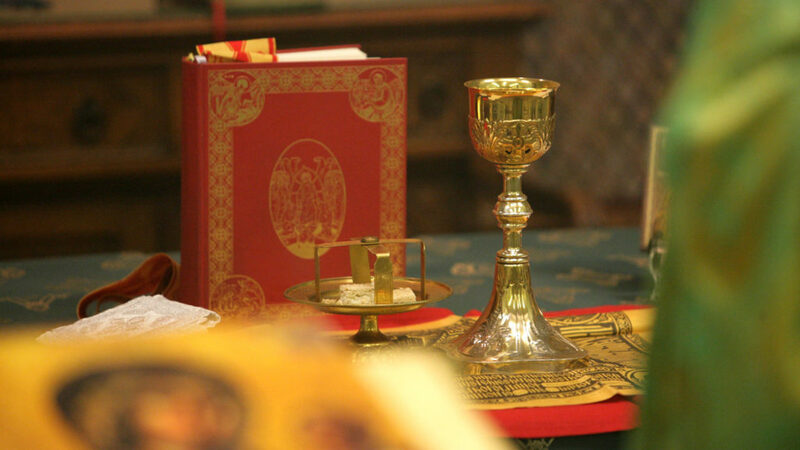 The Christian Seder may, therefore, constitute an effort to connect to the cultural memory of the Church, religious tradition, or/and the Jewish context of Christianity. 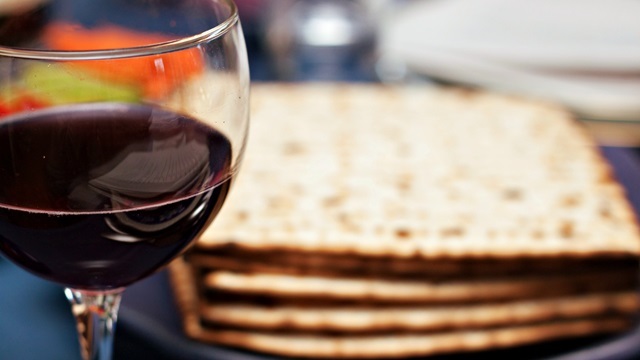 The foregoing discussion suggests two major motives for evangelical use of the Seder. 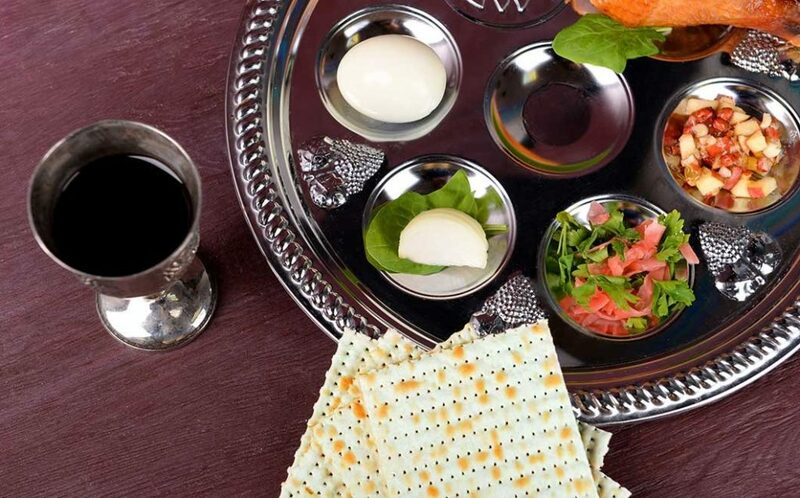 The Seder may be simply a “neat” thing to do; a religious ritual that fits into the syncretic zeitgeist of contemporary American Christian practice. To the extent that this is the case it would be similar to the aforementioned ecological, gay rights, or Latin American Solidarity “Seders” of the past. The second possibility is that the evangelical Seder is an attempt to somehow bring forward an ancient practice in order to help participants feel connected to what has gone on before. Here proponents are attempting to foster continuity with the ancient Jewish/Christian tradition, however misguided or clumsy that attempt might be. Observance of the Seder by Christians lends itself to two additional problems. Especially given the unknown nature of the Seder at the time of Christ and widespread disagreement over what kind of meal was celebrated in the upper room, contemporary Christian appropriation of the Seder exhibits anachronistic revisionism. In instances where the Seder is practiced in such a way that its integrity as a Jewish ceremony is left intact, the Christian element is likely to be incompletely addressed. After all, the entire point of Christianity is that “the Word became flesh and dwelt among us, and we beheld His glory, the glory as of the only begotten of the father, full of grace and truth” (John 1:14). Omitting the belief that Christ is God incarnate from a “Christianized” Seder would necessarily comprise the Christian content of the ceremony. 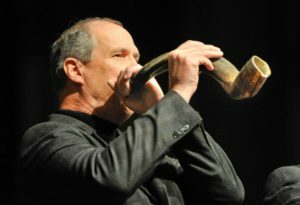 Sadly, the fact that the Early Church prohibited participation in Jewish rituals is both unknown to contemporary American Christians and, if it were known, would likely be of little importance. While such prohibitions may be unpleasant given our contemporary, pluralistic, and friendly approach to religion, there is no way to walk back from the stern prohibitions of the Fathers of the Early Church. Source: James R. Edwards. The Gospel According to LUKE. The Pillar New Testament Commentary. Grand Rapids, Michigan: William Be. Eerdmans Publishing Company, 2015, p. 629-630. Dr. Timothy J. Wilkinson is a deacon in the Orthodox Church of America, and is Professor and the Charles L. Boppell Dean of the School of Business & Management at Whitworth University. He earned a Ph.D. from the University of Utah, with a doctoral dissertation that examined subnational export promotion policy. Before coming to Whitworth, Professor Wilkinson taught at Montana State University Billings, The University of Akron, and Boise State University. Wilkinson’s has published seven books or edited volumes and 35 research studies, including Strategic Management in the 21st Century and International Business in the 21st Century. Articles for business people have been published in Business Horizons, MIT Sloan Management Review, and the Wall Street Journal. He is the author of The Customer Trap: How to Avoid the Biggest Mistake in Business. 1 C.I.K. Story, “The Bearing of Old Testament Terminology on the Johannine Chronology of the Final Passover of Jesus,” Novum Testamentum XXXI, no. 4 (1989), 316-324. 2 Jonathan Klawans, “Was Jesus’ Last Supper a Seder?” Biblical Archaeology Review, n.d. http://www.bib-arch.org/e-features/jesus-last-supper.asp. 3 Baruch M. Bokser, “Ritualizing the Seder,” Journal of the American Academy of Religion 56, no. 3 (1988), 443-471. 6 Rabbi Moshe Lazarus, “The History of the Haggadah.” http://ohr.edu/835. 7 Jerome Kodell, The Eucharist in the New Testament. (Collegeville, Minnesota, The Liturgical Press, 1991), 44. 8 Ben Eisen, “Cornell Hosts Seder Supper,” Cornell Daily Sun, April 3, 2007. 9 Michael Medved, “The Preposterous Politics of Passover,” Commentary, (April 2011), 38-44. 10 Jodi Kanter, “Next Year in the White House: A Seder Tradition,” New York Times, March 27, 2010. 11 Michael Medved, “The Preposterous Politics of Passover,” Commentary, (April 2011), 38-44. 12 Solomon Zeitlin, “The Liturgy of the First Night of Passover,” The Jewish Quarterly Review, (n.s.) 38 (1948): 445. 14 James A. Walther, “The Chronology of Passion Week,” The Society of Biblical Literature 77, (1958): 121. 15 Cullen I.K. Story, “The Bearing of Old Testament Terminology on the Johannine Chronology of the Final Passover of Jesus,” Novum Testamentum XXXI, no. 4 (1989), 320. 16 Justin Martyr. Ante-Nicene Fathers. Vol. II chapter XL. http://st-takla.org/books/en/ecf/001/0010501.html . 17 Justin, Martyr Dialogue with Trypho, 254. 18 Barker, Margaret. Temple Themes in Christian Worship (New York: T&T Clark International 2007) 28. 19 Massey J. Shepherd, “Are Both the Synoptics and John Correct about the Date of Jesus’ Death?” Journal of Biblical Literature 80, no. 2 (1961), 124. 21 C.I.K. Story, “The Bearing of Old Testament Terminology,”319. 22 Jerome Kodell, The Eucharist in the New Testament (Collegeville, Minnesota: The Liturgical Press) (1991), 42. 23 Jonathan Klawans, “Was Jesus’ Last Supper a Seder?” Biblical Archaeology Review, n.d. http://www.bib-arch.org/e-features/jesus-last-supper.asp. 24 F.F. Bruce, New Testament History. New York: Doubleday, (1969), 192. 25 B. Williams and H. Anstall, Orthodox Worship: A Living Continuity with the Synagogue, the Temple and the Early Church (Minneapolis: Light and Life Publishing, 1990), 29. 26 Timothy Ware, The Orthodox Church, (London: Penguin, 1997), 287. 27 Alexander Schmemann, Introduction to Liturgical Theology (Crestwood, New York: St. Vladimir’s SemeinaryPress, 1996), 58. 29 Plekon, Michael. 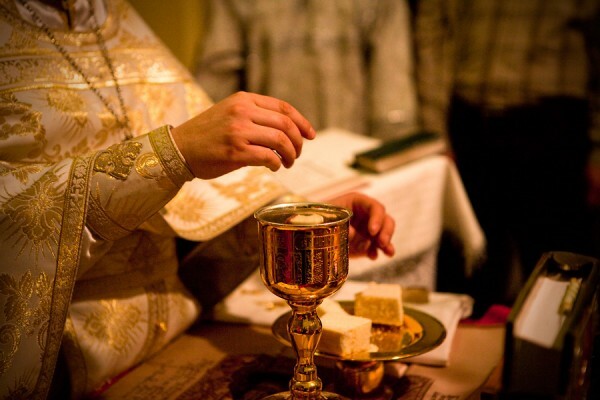 “Always Everyone and Always Together”: The Eucharistic Ecclesiology of Nicolas Afanasiev’s The Lord’s Supper Revisited.” St. Vladimir’s Tehological Quarterly 41, (1997): 141-174. 30 Hugh Wybrew, The Orthodox Liturgy. (Crestwood, New York: St. Vladimir’s Seminary Press 1990), 14. 31 St. John Chrysostom, The Divine Liturgy, (South Canaan, Pennslyvania: St. Tikhon’s Seminary Press, 1977), 81. 32 The Sisters of the Order of St. Basil the Great, Pentecostarion, (Uniontown, Pennsylvania, 1986), 11. 33 Richard Foster, Celebration of Discipline (New York: HarperCollins, 1978). 34 Simon Chan, “New Directions in Evangelical Spirituality,” Journal of Spiritual Formation & Soul Care 2, (2009), 220. 35 Eddie Gibbs, and Ryan K. Bolger, Emergin Churches: Creating Christian Community in Postmodern Cultures(Grand Rapids: Baker, 2005), 45. 36 Simon Chan, “New Directions in Evangelical Spirituality.” Journal of Spiritual Formation & Soul Care 2, no. 2 (2009), 224, 232. 37 “Evangelical Life,” Touchstone: A Journal of Mere Christianity, (March 2007), 57. 38 Jan Assmann, “Collective Memory and Cultural Identity,” New German Critique, 65, Spring-Summer ( 1995),128-129; Jens Bruun Kofoed, “Saul and Cultural Memory,” Scandinavian Journal of the Old Testament 25 (2011), 126. 40 Jan Assmann, Religion and Cultural Memory: Ten Studies (Stanford, California: Stanford University Press 2006), 123-124. 41 Rabbi Gary Bretton-Granatoor, “Don’t Try this at Home.” America: The National Catholic Weekly, 2006, 21. Also availble here: http://americamagazine.org/issue/569/article/dont-try-home. 42 Ignatius To the Magnesians 8-10. 43 Jan Assmann, “Collective Memory and Cultural Identity,”128-129; Jens Bruun Kofoed, “Saul and Cultural Memory,” 126.44 Rabbi Gary Bretton-Granatoor, “Don’t Try this at Home,” America: The National Catholic Weekly, 2006, 21. Part two of our republishing of ‘The Contemporary Protestant Seder: Anachronistic Revisionism?’ by the Rev. Dr. Dcn. Timothy J. Wilkinson. Now on the first day of the Feast of Unleavened Bread the disciples came to Jesus, saying to Him, Where do You want us to prepare for You to eat the Passover? And He said, “Go into the city to a certain man, and say to him, ‘The Teacher says, “My time is at hand; I will keep the Passover at your house with My disciples (Matthew 26:17-18). …“Where is the guest room in which I may eat the Passover with My disciples.” So His disciples went out, and came into the city, and found it just as He had said to them; and they prepared the Passover (Mark 14:14, 16). “Now before the Feast of the Passover…” (John 13:1). “Therefore, because it was the Preparation Day…” (John 19:31). 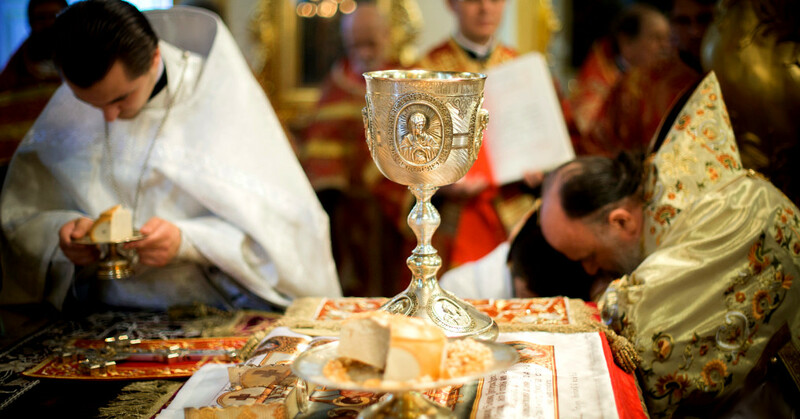 Patristic writers have also varied in their explanations of the whether or not the Lord’s Supper was a Passover meal. Clement of Alexandria (third century), Hippolytus (third c.), Eutyches (fourth-fifth c.) and Eusebius (fourth c.) argued that the supper was a Passover meal eaten early, before the actual Passover was to take place. In contrast, Irenaeus (second-third c.), Origen (third c.), and John of Damascus (eighth c.) believed that Jesus and his disciples ate the actual Passover meal.xv The chronological issue is important because it addresses the question of what type of meal that Jesus shared with His disciples as described in John 13:1-30. He is making the point that the early Church did not make a clean break with Judaism and that it did not reject the liturgical form of worship practiced by the Jews. Pascha is the Greek word for Passover, making this connection self-evident in most languages; the most obvious exception being the English designation of “Easter”. Given the centrality of the Eucharist in the early Church and the lack of interest in the Seder meal throughout most of Christian history, the embrace of the Seder by evangelicals can be understood only outside of the context of historic, biblical, and traditional Christianity. In this paper, let us consider the content of the contemporary Jewish Seder and explore the political and social uses of the ceremony. Then let us consider various theological perspectives on the Seder before attending to evangelical approaches to religious ritual and Church history. Finally, let us consider a critique of the practice of the Seder by evangelicals as informed by Orthodox Christian tradition. This publication, which outlines the traditional Mishnaic Seder, has been widely distributed for decades and is the most used version of the Haggadah in history. Clearly, the Seder ritual of today is not the same as that celebrated before the destruction of the Temple and is certainly disassociated with the ritual celebrated by Jesus and His disciples in the upper room. In an article entitled, “The Preposterous Politics of Passover: The Use and Misuse of the Haggadah in Our Time,” cultural commentator Michael Medved catalogues what he considers to be numerous contemporary abuses of the Seder. He believes that the Haggadah has become a political battleground in the America’s culture wars. For example, Rabbi Arthur Waskow began promoting a “Freedom Seder” after the assassination of Martin Luther King which celebrated the destruction of the “white man’s stores” during the subsequent Harlem riots. He repeated the stunt in 2004 as a means of objecting to the George W. Bush administration. During the intervening years others used the Seder to promote a variety of causes such as eco-sanity, gay rights, peace between Palestinians and Israelis, and Latin American solidarity movements against tyrannical rulers.